Meil müügis olevad pehmejäätisemasinad on toodetud kõik Itaalias, pakume väga kvaliteetseid pehmejäätisemasinaid, lauapealsed või põrandamudeleid, ühe kangiga või kolme kangiga, õhupumbaga või ilma. Digitaalse juhimisega või manuaalse juhtpuldiga. Tule uuri lisa. 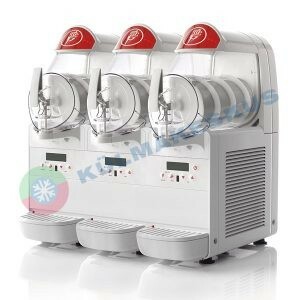 Machines for soft ice cream or frozen yogurt: to fill cones and cups; to prepare and garnish sundaes and desserts. These models are fed with pressurization pumps. 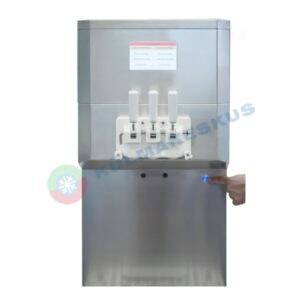 The panels and the components in contact with the mix and the ice cream are of stainless steel or approved materials for food that guarantee the best hygiene and comply with health standards. These models are fed with pressurization pumps which guarantee a remarkable overrun of the ice cream. 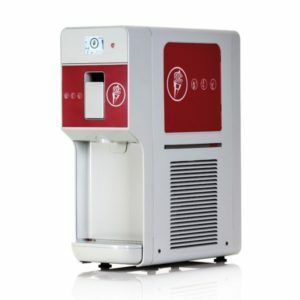 The incorporated air allows an extraordinary texture of the dispensed product, both ice cream and yogurt are extremely creamy. Pumps are rinsed by pressure and are not daily dismantled. 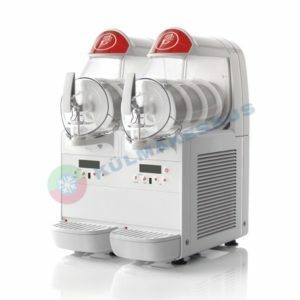 The electronics, controlling the various functions, mix temperature, product consistency and conservation, guarantee optimal operation, high output and better preserve the consistency of the ice cream during longer conservation time. 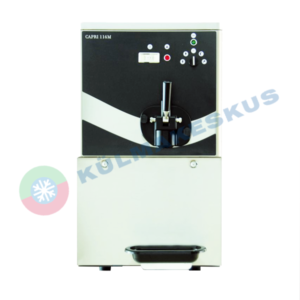 Washing and sanitizing are quick and easy and the best hygiene is guaranteed. 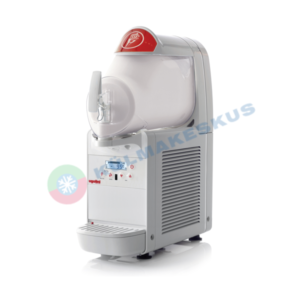 The single pieces and components in contact with the mix and the ice cream can be manually disassembled and assembled without tools. 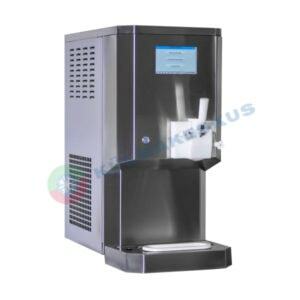 Commercial frozen yogurt machines for anyone who wanto to immediately start selling frozen desserts which are popular and highly profitable. 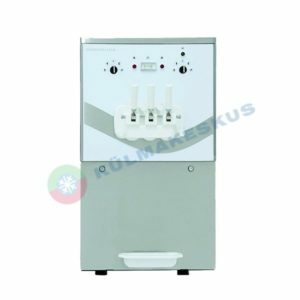 In fact, the soft ice cream machine is extremely user-friendly, it dispenses the product rapidly and can be used with ready-made ingredients.